It is a tautology that those who care will learn. The comment; "I seen consumer (simply non-professionals) do work akin to most all professionals" has to be 'hyperbole'. e.g. Had you said something along the lines of "occasionally may work akin to the odd professional", I would not have found the statement so hard to swallow. It was the "akin to most all professionals" that smacks of making a claim that must be considered to be untrue. I have attached an image of a book to which I have referred many times since 2002. I know about 30% of this book really well and another 30% quite well. The remainder of the book needs much more of my time for my complete understanding. This book (by Adobe Press) has been my typographic bible and reference book ever since typesetting and pre-press work became one of my interests. My point? What consumer will have any knowledge of typography to this depth, especially when it comes to undertaking my work? Ask the diligent and intelligent consumer about white space or creating legible body text and the responses are likely to be blank looks. If I attend a photographic shoot, ask the consumers why they wait for me to set up the shots before they take out their smart phones and adopt my viewpoints. One of my exams for my photographic skill set provided me with one single piece of transparency film for a 4 x 5 inch camera. The brief was to create and shoot an image in the studio which would be for an advertisement. Apart from loading and perfectly exposing and developing the latent image on the piece of film, the remainder of the challenge was to image the tableau vivant which had to be assembled by the photographer. The image had to be perfectly lit and in focus and show sharpness in depth. The lens aperture had to be set to f/128 necessitating multiple exposures. It is not an easy task to complete and I doubt that a consumer would be able to undertake it without the relevant understanding. If the term professional is to have any meaning (apart from the obvious one of working for money) it should mean that the work will be completed to the highest standard possible, in the most effective manner. Hallmarks of a profession include seeking to raise one's own standards and sitting recognised qualifications. Consumers are very unlikely to work to that standard. My naysaying should demonstrate that professionals who are time-served and subscribe to the tenets of their profession, will always do a better job than lay people. I hardly know where to begin. I sincerely hope most of what you wrote was ill-conceived and ill-written. Because it is pretty elitist and ill-informed in places. My position is that I want to use the tools that a professional would want to use and I don't need the lay person, well-meaning amateur or consumer having any input into how I go about my work. I really don't know what you actually mean here. So I likely have a wrong take on it. I take it to literally mean that "amateurs" and "consumers" should have no say in how you work, your work-flow. But I don't think that simple restatement is what is meant. I take it to mean you don't want them involved in, having a say in, what functions are included and how those functions should work in a layout application. And in this thread, specifically how APub functions and what those functions even are. I find that simply silly. Just how many decision makers at Adobe that are making decisions about InDesign are even competent in its use? And by competent, I mean even at a novice level? How many people at Serif that are making decisions are competent layout persons? At Quark? It is a tautology ﻿that those who care will learn. The comment; "I seen consumer (simply non-professionals) do work akin to most all professionals" has to be 'hyperbole'. e.g. Had you said something along the lines of "occasionally may work akin to the odd professional", I would not have found the statement so hard to swallow. It was the "akin to most all professionals" that smacks of making a claim that must be considered to be untrue. Nah, not tautology, but whatever. I have seen layouts of all sorts from "consumer" users that rival much "professional" work. And I have seen work from a few people that have grown over the years in their abilities, and yet at best are laypersons. Conversely, I have seen dreck from professionals. That learning road is the exact same road we all travel. How well one learns, how well one performs, is not tied to a paycheck. But we all, lay people and experienced people alike, have all traveled that road. I have no idea when it was during your journey you considered yourself a professional. But I would reckon you are better, quicker, your eye more assured now than the day you considered yourself a professional. At least I hope so. Don't judge the part-timer's work by your current standard. Judge by that once upon a time period. And then look around at Amazon's selections of POD and use their Quick-look to peak inside. Yep, you'll find some not so good layouts, poor decisions, rivers and the like. But you should also find some damn good layouts done by the casual person, the consumer user. I think I have said all I want to say in response to your posts. Neither will convince the other. We seem to have a fundamental difference of opinion. @NauticalMile Looks like you finally got the discussion you wanted in the first place. @jepho and @MikeW both do a great job defending contrary points of view. Both views are on extreme ends where the truth is as always in between. I really don't think that making APub more usable is necessary a "dumb down". There are plenty improvements that will make it easier to use for both groups. I see that some vendors seem to think to suit an app for amatuers should not have those fine grained controls for the typography stuff at all. Somebody could be confused and such. I like the way APub goes here: In the toolbar is everything for layouting text a amateur like me knows from MS Office. I see that there is also a character panel for typography with a lot of stuff I do not unterstand. This is perfectly fine for me. I just don't go there. One day I may take interest in that and do it, but I'm pleased with my results, so it is fine. The first two years with my DSLR I only used full automatic mode with JPEGs. I was pleased with the results. One day I felt I could improve my photos, read a book and today I'm with manual only RAW shooting since years. The point is that a good usability allows amateurs and newbies to reach their goals without throwing all complicated stuff at once at then. Let them drill down to fine grained control where needed. That is not dumbing down for me. It's hiding complexity to make it more manageable. This is a good thing. And I'm with @MikeW here that you don't need to study everything in detail before having decent results. You can also get there by having some inspiration and copy things you have seen and liked elsewhere without having to fully unterstand them. That is how babys learn their ways by copying their parents. Many amateurs follow a good photo composition because they saw it so often and thereore it felt right. 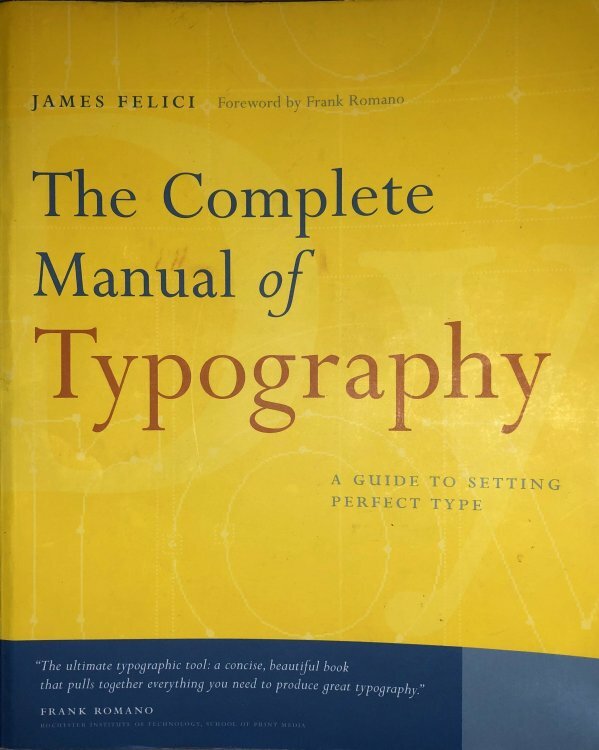 It's nice to exactly know all rules of typography but I doubt that nobody can produce a good result without deep understanding. Deep understanding what you do is for me more like a quality insurance that you don't accidently cargo cult. For a professional it may be a requirement, but you may come trough without. In my case I hope I got all that stuff with bleed, color range and icc profile right. If not my print etablisment will sure tell me so I can learn by trial and error. The discussion has my interest as I personally learn some things and new views on the topic. So I consider it worth my while. Since you're longer onboard you may have seen similar discussions over and over until you lost interest. Thanks to Alfreds link I also read the very similar topic to this. Been trough that once might be enough for one. And you're right, I'm on vacation. <quote> "I hardly know where to begin﻿"
"I really don't know what you actually mean here." "But I don't think that simple restatement is what is meant"
Substituting what YOU think for what I mean is not a dialogue. The casual "but whatever" is rude and uncalled for. Your worldview does not permit any opinion but your own. It is futile to debate opinion. Thanks for the chat. I recognise that this thread deals with a number of suggestions about what Affinity Publisher needs to sell to many users. We have made what we hope is a big step forward towards one of the most popular suggestions.